A collection of Victorian microscope slides made one of the more unusual lots passing under the hammer at Toovey’s Fine Art & Antique Auctioneers & Valuers Spring Gardens rooms in July. The lot was included in the specialist auction of Clocks, Watches and Scientific Instruments that Toovey’s hold every two months. 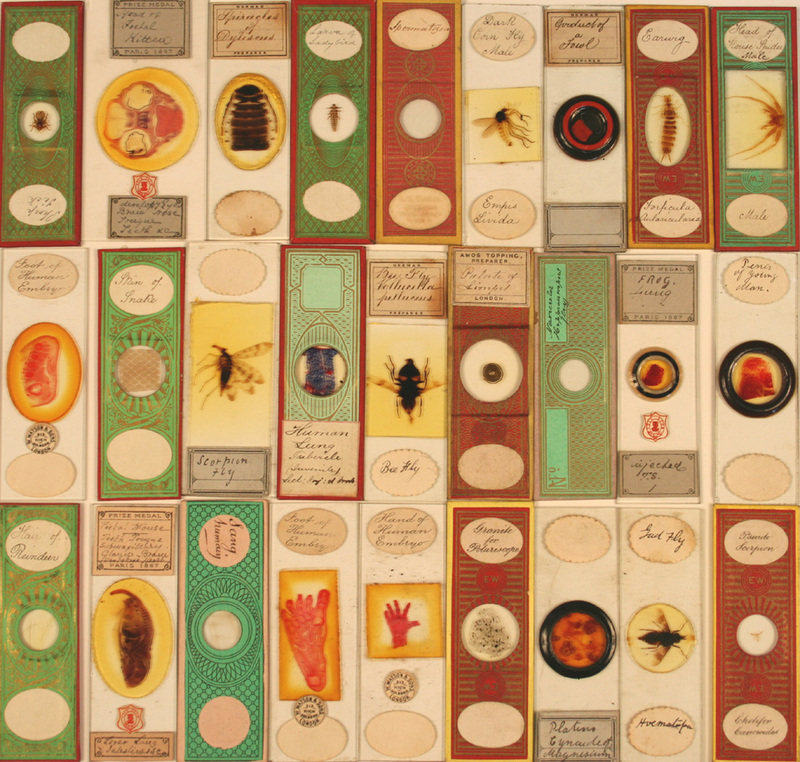 The exceptional group of over a thousand biological and botanical slides was contained in a twenty-nine-drawer, tabletop cabinet. Subjects captured between glass ranged from the intriguing to the somewhat macabre, with specimens such as blow fly ovary, frog’s lung, flea’s gizzard and various human tissue samples, all neatly labelled and many in colourful, decorative mounts. Collections like this are sometimes referred to as ‘cabinets of curiosities’, a term first applied to the great curio rooms of Renaissance Europe. As interest in science and nature grew during Victoria’s reign and microscopes became increasingly sophisticated, viewing specimens like these became highly popular, not only with professionals but also with middle class families as a source of education and entertainment. A number of companies specialised in sourcing, preparing and mounting interesting samples from around the world to meet the demand. It is now unusual to find such a good collection of slides in near original condition like this, a specialist collector from Bristol travelled to the Sussex Auctioneers’ saleroom to secure the lot for £10,000 against six telephone bidders. 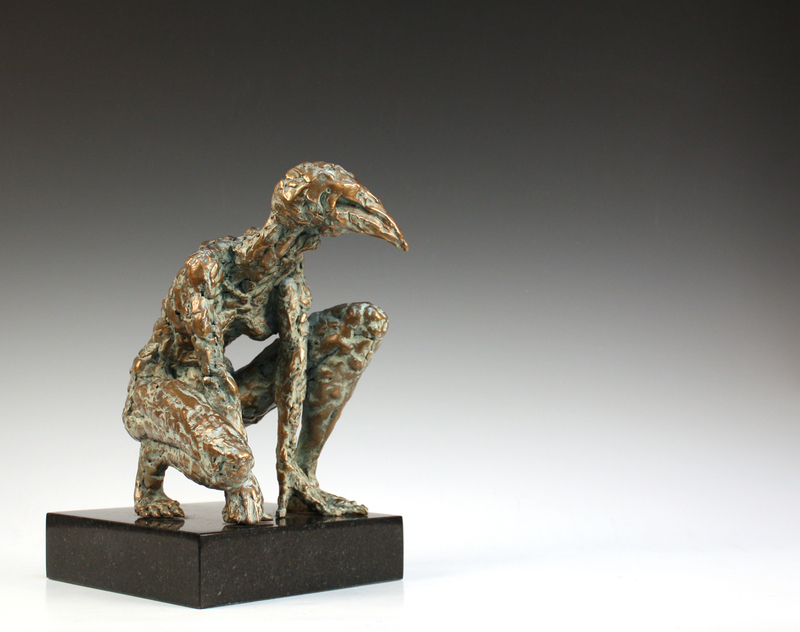 Eve Shepherd is a Hove-based sculptor who feels a responsibility to create work with a message, she admits her work portrays sadness as well as joy, but hopes either way, that this will strike a chord with the onlooker. Nicholas Toovey tells us more. Eve started her career in art with an informal voluntary apprenticeship with the Sheffield-based sculptor Anthony Bennett. This training led to a position with a commercial sculpting firm in York where she produced realistic life-size figures, working to short deadlines with a team of fellow sculptors. After several years Eve came to a crossroads in her career, she felt the commercial work had become a purely money-making occupation with her love of sculpting and her creativity sacrificed and stifled in the process. A two-year break from sculpting followed and with it relocation to Brighton with her partner, a decision she calls a ‘leap of faith’. The rejection of the commercial world meant Eve had to start her career from the beginning, looking to create work that was truly her own. 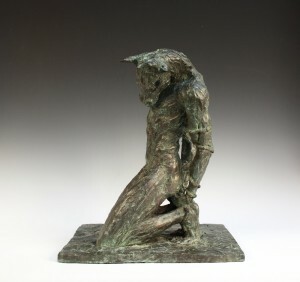 One of the first sculptures after drawing this line in the sand was ‘Broken’, a cast bronze of a kneeling shackled minotaur with head bowed, perhaps a commentary on her emotions towards her former work. Today she enjoys being by the sea in a city that is tolerant, fun and less restrictive than the other cities she has lived in. Eve also loves the contrast of liberal Brighton with the neighbouring ‘very British’ countryside. Does Sussex inspire her? Yes, mainly in the people with their ‘can do’ attitude and the ability to ‘think outside the box’. As part of her relocation Eve obtained space at the Red Herring Studios in Hove which remains the base for her output. This industrial building is softened by the community atmosphere created by all the different artists working within. The atrium of her studio has floor to ceiling shelves storing models, moulds and materials reminiscent of a film prop studio. A room off this is the artist’s work area, with creations in progress and numerous points of reference, books and music arranged around the room. On one surface is a maquette (a small-scale preliminary model) of Henry Allingham seated in a wheelchair holding a poppy wreath on his lap before an arrangement of four flags. Allingham was the last surviving British Serviceman, to have volunteered for active duty in the First World War. Eve felt he was a fitting symbol for those who fought in the war and survived, she wanted to create a memorial to the brave servicemen and servicewomen who continued to live with the torment of the Great War in their hearts and memories rather than for those who had fallen. Eve has actively sought a commission to make this maquette into its intended large-scale version, but interested parties always fall short when it comes to planning permission or funding. 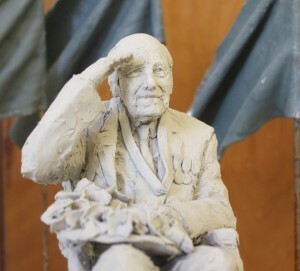 Eve jokes ‘I will probably be sculpting it when I’m his age’, although her original intention was for it to be a completed work and unveiled on 14th June 2014, the centenary of the outbreak of the war. 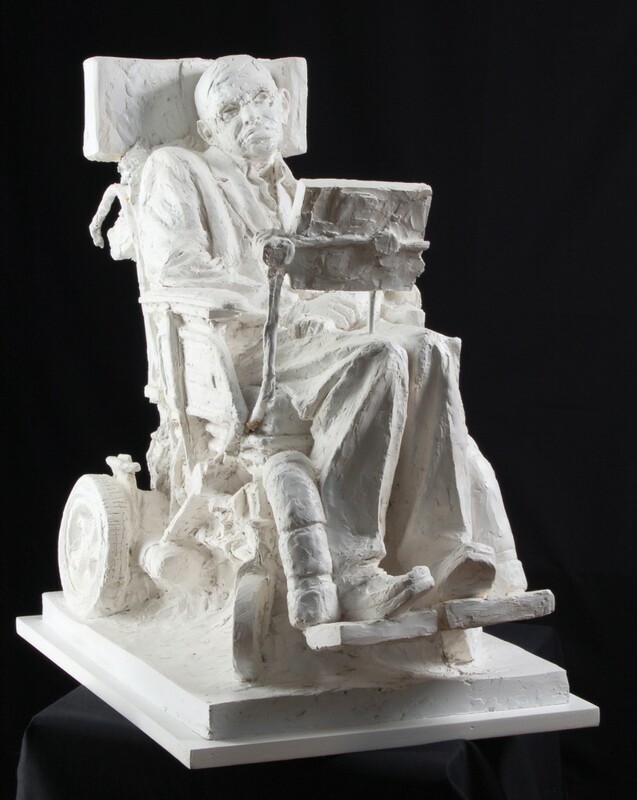 Another on-going project that is permanently in the background is the commission for a one and a half times life-size sculpture of Stephen Hawking for the grounds of Cambridge University. 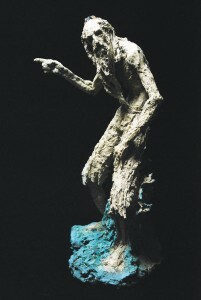 For her commission work she has to have an underlying personal interest to accept it, these sculptures are portrayed with accuracy in anatomy and scale and described by Eve as her technical and academic pieces. 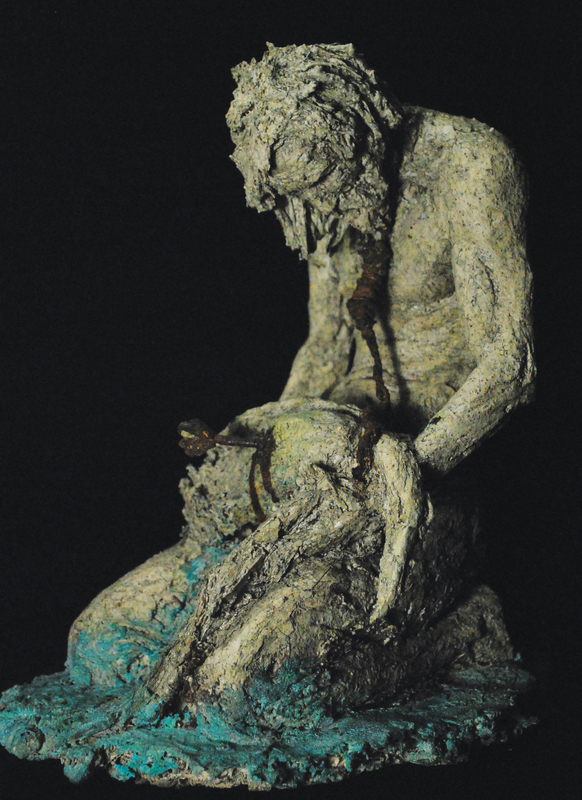 It is not surprising therefore that Eve is an Associate Member of the Royal British Society of Sculptors and a Member of the Society of Portrait Sculptors. Two years ago Eve obtained a kiln and has been exploring the capabilities of a new medium for her work by creating fired clay sculptures. This facet of her oeuvre is spontaneous and experimental. Often with Eve’s fingerprints still evident, these sculptures show a fluid, unshackled approach and highlight her influence from the Italian Renaissance, a period that the artist admires. Eve loves the psychology and story behind each sculpture, often giving the human form zoomorphic attributes or animals anthropomorphic characteristics. A recent series of work was specifically based around Samuel Taylor Coleridge’s ‘The Rime of the Ancient Mariner’, however the majority of her works could easily illustrate the books of J.R.R. Tolkien, C.S. Lewis or Hans Christian Andersen. Nicholas’ article was originally published in Sussex Life magazine in July 2011.